2015-01-22 :- Mag Layers Announces Our Latest Wire Wound Inductor. 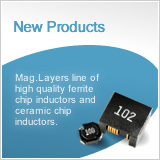 2014-01-30 :- Mag Layers introduces the MHD series of Low-DCR, Low Profile, Ultra High Current, Power Inductors. 2014-01-29 :- Mag Layers introduces the MMD Low-Profile Ultra High Current Power Inductors. 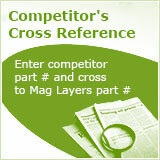 2014-01-28 :- Mag Layers introduces the GMPI series of Multilayer Ferrite Chip Power Inductors for portable devices. 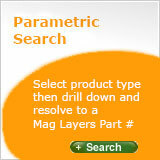 2014-01-27 :- Mag Layers introduces the MMD Series of High Current Power Inductors.